For over 100 years, Imperial College Business School has been shaping the face of business with its unmatched academic rigor and integrated business programs. This truly international university is able to provide the ultimate in business education, thanks to its location in London, a prominent European financial center, and its unique access to the world-class faculty and research projects hosted by Imperial College London. With expert faculty in the fields of health care, science, engineering and technology, Imperial College MBA students have the resources they need to make a real impact in business, society and government. Since 2002, Imperial College Business School has been delivering online education at the forefront of learning technology. Today, students can study an MBA program that is entirely online. With an MBA achieves the flexibility of an online delivery without sacrifice to quality of education, Imperial MBA students get the best of both worlds. The Imperial Global MBA employs the latest in cutting-edge learning software to deliver world-class education to students all over the world simultaneously and seamlessly. This makes it the ideal program for today’s busy professional. Imperial College Business School boasts an impressive triple accredited status: AMBA, AACSB and EQUIS. Beginning in 1987 with an AMBA accreditation, Imperial College Business School has steadfastly climbed the ranks to become one of the world’s best universities today. As the highest honor in business education, only 57 business schools internationally hold a triple accredited status. For Imperial College MBA students, this translates into a degree that is globally recognized, respected and desired. Imperial College Business school counts over 12,000 exceptional individuals in its international alumni network. With alumni groups in more than 125 countries worldwide, Imperial College Business School alumni gain access to business leaders from all sectors, no matter where they are. 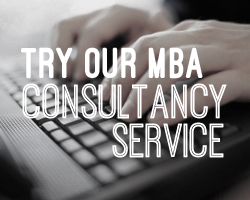 Gaining an extensive network of business contacts is a significant benefit of studying an MBA. At Imperial College Business School, MBA connections are much more than that. MBA students work closely with one another, are divided into work groups that resemble the diversity of global business and have the resources to stay in touch throughout post-graduation. The culmination of these factors results in lifelong relationships, rather than just contacts. The bonds achieved between MBA students during Imperial College Business School programs are a critical aspect of its internationally acclaimed status. Fill out your details to get in touch with Imperial College Business School and find out more about their programs. Gain perspective on the essence of Imperial College Business School.